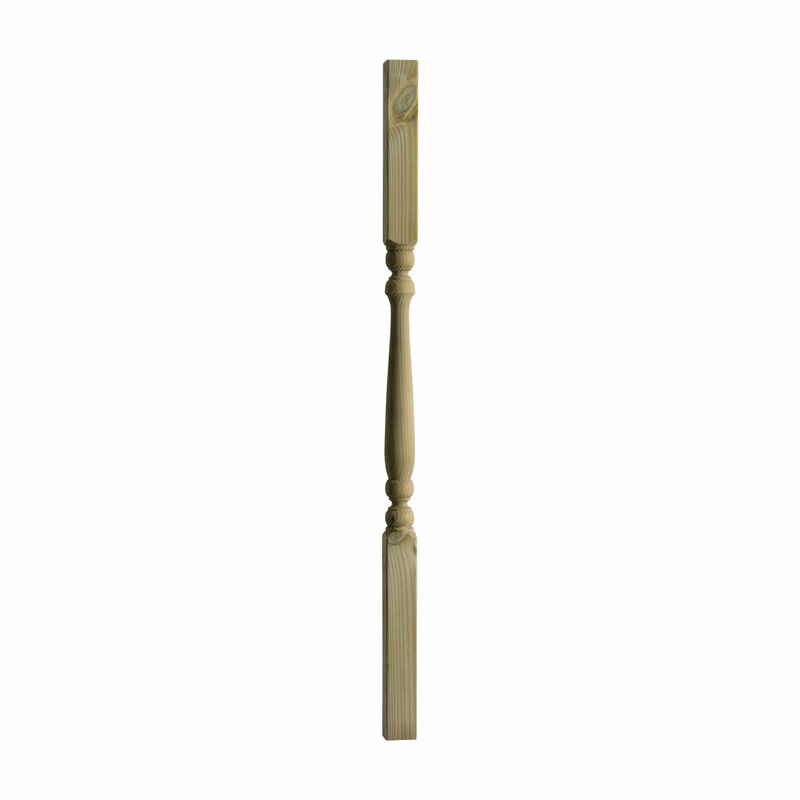 Designed as a Deck Spindle in an Edwardian Style - to match DEP12CAP 82mm Colonial Turned Deck Newel Posts. We suggest fitting these Spindles with 82mm Turned Colonial Newels with Ball-Cap DEP12CAP using either DHNEW Stacking Handrail or DHU Universal Handrail with Infill. 4Kg is used as a shipping weight, which may include wrapping in a bubble-wrap or corrugated-paper type material, to send by carrier. E. & O.E. see T&C - We do try to keep prices and specifi­cations of Turned Colonial Deck Spindles correct, but mistakes can be made!